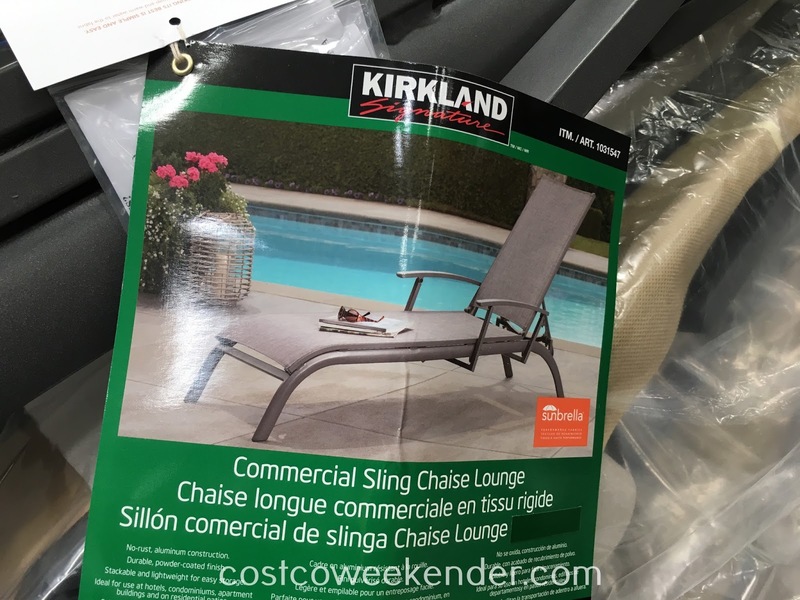 If you're lucky enough to have a pool in your backyard, then you will definitely love having the Kirkland Signature Commercial Sling Chaise Lounge chair. With this chair you can soak in the sun and just lay in comfort on a slow Sunday afternoon during the summer. Even if you don't have a swimming pool, you can still put one of these Kirkland Commercial Sling Chaise Lounge chairs in your patio, deck, or backyard. You'll find out that time will pass by slowly while you get to lay on this chair. When it's warm out, it's comfortable enough to take a power nap on it as well. 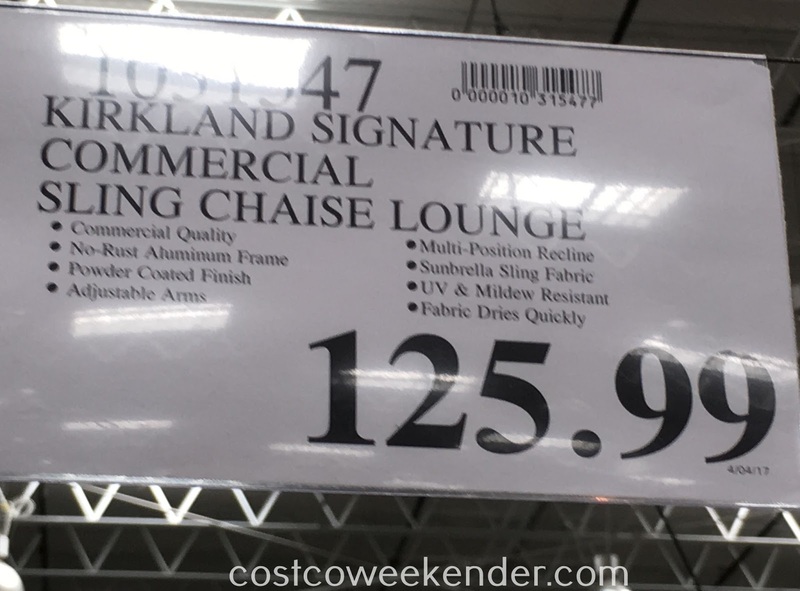 Enjoy being outside in the comfort of the Kirkland Signature Commercial Sling Chaise Lounge this summer. Hello @Yomamabird_Rhonda, thank you for your feedback for the Kirkland Signature Commercial Sling Chaise Lounge. That's unfortunate what happened to you when using your chair, but I'm glad to hear that it wasn't a more serious injury. 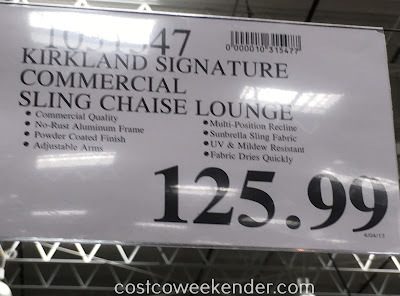 Hopefully Costco will recall these chairs, so that no one else gets hurt.